New fiscal year has just started in Japan! So, the topic I chose for today is about livable town in Tokyo (^u^). As many of you may know, academic year and fiscal year start from April in Japan. 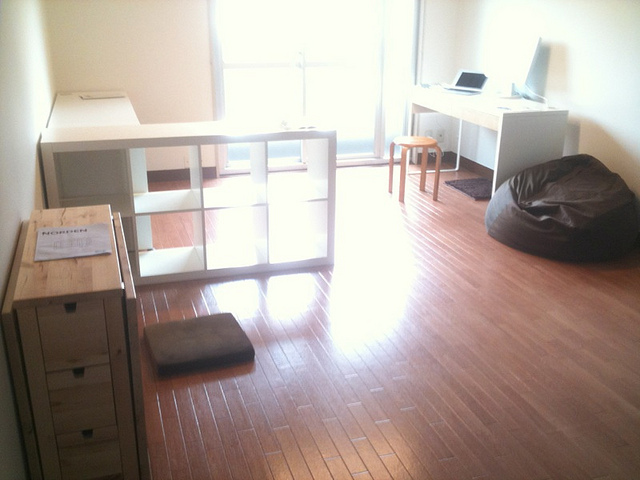 For this reason, many people move to new place for their study and work around this time of year. The article I found for today includes very useful information, which can be used to find a livable town in Japan for you. One of the information indicated in the article is a crime information map provided by Tokyo Metropolitan Police. This map shows occurrence of snatching, robbery, car break-in, car/motorcycles/ bicycle robbery and so on quite effectively by occurrence frequency. In order to give you some image, I created my own map with start marks below. 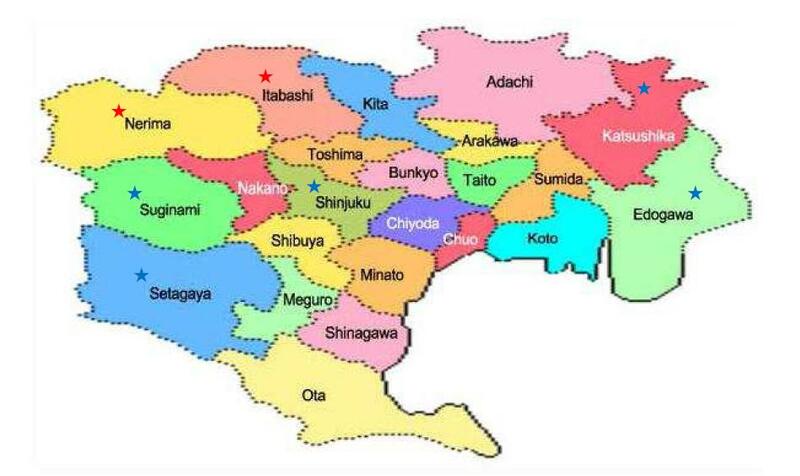 Those areas with high occurrence rate of snatching seem to be Itabashi-ward and Nerima-ward, shown with red stars. And more burglars occurred in wards with blue stars including Shinjuku, Setagaya and Suginami than other areas. Also, a real-estate company is providing safety information in case of building collapse, fire and crime and others. According to this ranking, top 3 safe area in Tokyo seem to be Chiyoda-ward, Minato-ward and Chuo-ward respectively. When it comes to building collapse, Josai area including Nerima, Setagaya is considered as safer area, while Josei area including Koto-ward and Edogawa-ward seems to have less fire case than other areas. This is also interesting, isn’t it? As what you want to prioritise among all safety issues may differ from others, so if you have several options to choose from, these information can be very useful as a good reference.